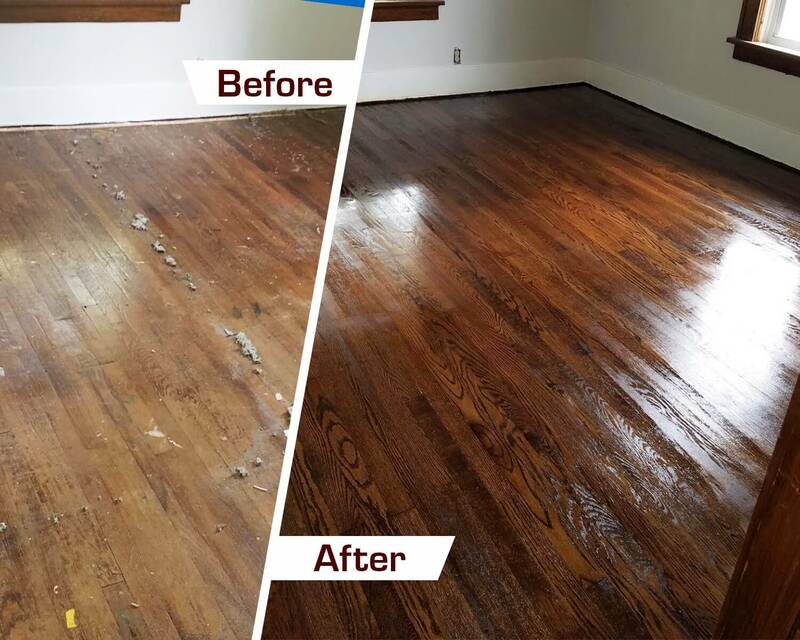 Ready to make those hardwood floors look new again? Choose to refinish them with Fabulous Floors Cleveland! We have been in the hardwood flooring industry for many years and have developed a process that is effective and works. We’ve trained our technicians to give you the floors you are dreaming of. They promise to go above and beyond in all that they do. Our hardwood floor refinishing in Mayfield Heights, OH is becoming more and more popular. Read what some of our customers are saying on our testimonials page. Fall in love again with your hardwood floors with Fabulous Floors Cleveland! We have created a hardwood refinishing process that has been perfected over our time in the hardwood refinishing industry. It only takes us 1-2 days to complete and doesn’t leave a mess in your house. Our first step is to remove any carpet that may be present. During this step, we are careful to not damage the hardwood floors underneath and make sure to remove all remnants from the carpet and pad. Next, we use our powerful sanding machine to eliminate any scratches or dings on your hardwood floors. Our sanding process is also virtually dust-free. Once the sanding is complete, we use a stain of your choosing to stain your hardwood floors We have a large selection of stains – see them by clicking here. Lastly, we apply a layer of polyurethane to your hardwood floors. This adds a protecting layer to your hardwood floors and gives them a nice gleam. You might not be aware, but all of our products and services are completely GREENGUARD Certified. That’s right, we have gone to great lengths to ensure that both your family and the environment are not harmed as a result of our hardwood refinishing services. Contact us to find out why so many people in the Mayfield Heights area are choosing Fabulous Floors Cleveland! We look forward to working with you.